A Creditors Voluntary Liquidation (CVL) is the procedure to wind up an insolvent company where the value of the assets of the company are less than its liabilities and not enough to be able to clear all of the debts. At the commencement of the process, the decision to proceed with a Creditors Voluntary Liquidation – and therefore liquidate a company – occurs where the shareholders, usually at the directors’ request, decide to put a company into liquidation because it is insolvent. At the end of the process the company is liquidated, wound up and goes out of business. Once under way, a CVL is under the effective control of the creditors, who can appoint a liquidator of their choice. At this stage, the role of the directors is terminated. Click here to see our guide to CVLs. When is a CVL used? The Creditors Voluntary Liquidation process is used when a company has come to the end of its useful life. A CVL is the most common way for directors and shareholders to deal voluntarily with their company’s insolvency. 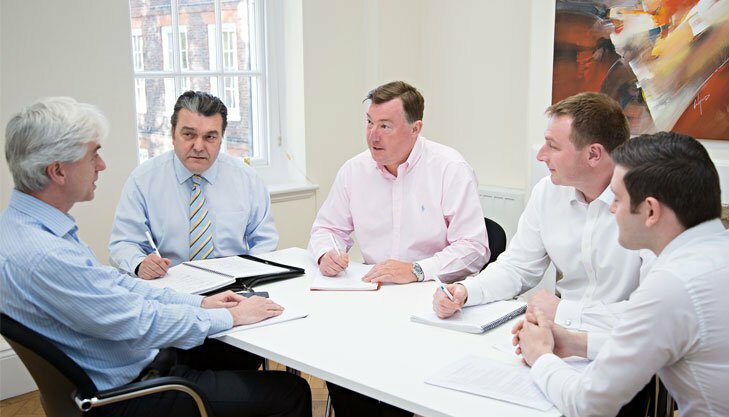 Ultimately it is the directors that commence the proceedings in a Creditors Voluntary Liquidation. The directors will formally resolve that the company cannot continue to trade because of its debts, and they appoint a Licensed Insolvency Practitioner – as the liquidators – who prepares a statement of affairs to be presented to the creditors. Before a company reaches the liquidation stage, its financial health is usually already in a state of distress, due to cash flow problems, falling margins, the need to have extended creditor days, which often lead to higher interest payments, defaulting on bills, etc. Whilst in the financial distress stage, it is still possible to restructure and turn things around if help is called in quickly enough, as our insolvency and restructuring guide shows. However, if things do not improve, then distress turns into a crisis, and that is when the company’s debt – the money that it owes to its creditors are at a level which means that liquidation is the only real option. Under this circumstance. when there is little or no liquidity to run the company has, the directors and shareholder have an obligation to proceed with a CVL. We have acted as the liquidator in many CVLs. Our role is to supervise an orderly liquidation before we dissolve it. For more information, help and advice about a Creditors Voluntary Liquidation, contact us or call us on 0207 831 1234. The first consultation is FREE. Click here to see some testimonials and case studies. A compulsory company liquidation (or compulsory winding up) is instituted by an order made by the court, usually on the petition of a creditor, the company or a shareholder. There are a number of possible reasons for making a winding-up order. The most common is because the company is insolvent. A winding-up petition may also be presented by the Secretary of State on the grounds of public interest. In a compulsory liquidation the function of a liquidator is in most cases initially performed by an official called the Official Receiver. The Official Receiver is an officer of the court and a member of the Insolvency Service, an executive agency within the BIS (Department for Business Innovation & Skills). In most compulsory liquidations, the Official Receiver becomes the liquidator immediately on the making of the winding-up order. Where there are significant assets, a licensed insolvency practitioner will usually be appointed to act as liquidator in the liquidating process in place of the Official Receiver. This happens either at a meeting of creditors convened for the purpose or directly by the Secretary of State. Where an insolvency practitioner is not appointed the Official Receiver remains liquidator. Where a compulsory liquidation follows immediately on from an administration, the court may appoint the former administrator to act as liquidator. In such cases the Official Receiver does not become liquidator. An administrator may also subsequently act as liquidator in a creditors’ voluntary liquidation. For more information, help and advice about the Compulsory Liquidation process, please contact us or call us on 0207 831 1234.